The Parish of Burton Agnes in the East Riding of Yorkshire, is situated on the edge of the Yorkshire Wolds between Driffield and Bridlington, and comprises the three villages of Burton Agnes, Gransmoor and Thornholme. 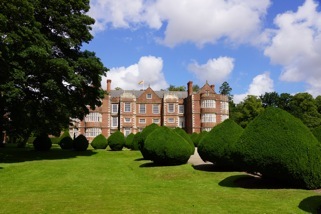 It is home to some 500 parishioners, a number of small businesses and farms, the historic 13th century church of St Martin, a Norman Manor House and a nationally renowned stately home, Burton Agnes Hall. 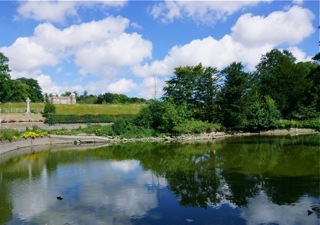 It is bounded to the North by Woldgate, immortalised by David Hockney, which follows the course of a Roman road and an earlier prehistoric ridgeway. The South Eastern boundary lies between Gransmoor and the A165. The Parish is bisected by the busy A614. We hope you find this site useful. If you would like us to publicise events you are planning in the Parish please let us know. Anyone wishing to attend, should call the electoral services team on 01482 393300 by Friday 15 February 2019. Places are limited and will be allocated on a first come, first served basis. ​The Parish Council will receive a sum of £25K during 2019 from the Caythorpe Environmental Fund. 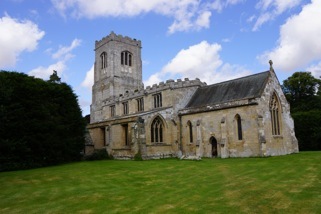 The Caythorpe site is to be wound up and Centrica have kindly agreed to distribute the funds which would have been made available over the next 15 years to each of the three local Parishes throughout 2019. This funding will be received by the Parish Council who will decide how best to spend this within the local community. The Community Speed Watch scheme is currently being developed by Humberside Police and it is expected to launch in spring of 2019. As there has been a high level of interest in the scheme from town and parish councils and members of the public, it will not be possible to get every area up and running at the same time. As a starting point, we have been advised that a team of at least 6 volunteers who are willing to be trained and provide the service will be required. If you would like to be included as a volunteer on the scheme then please contact the Clerk at jen@jehbooks.co.uk or call 07542874957. The next Parish Council meeting will be held on Monday 29 April 2019 at 7.00pm at the Sports Club in Burton Agnes (Rudston Road opposite Burton Agnes Hall car park). The agenda can be viewed here nearer the time. The salt in the bins is provided by East Riding Council for residents to use on council maintained roads and paths. Salt bins are routinely re-filled twice during the winter period and during adverse weather as often as is practicable. If you notice that a salt bin is empty please report it by calling East Riding Council on 01482 395739. Going on holiday or travelling in UK?